How do I unlock access to Jurassic Park 2 and Jurassic Park 3? I can only select the two icons at the left, which are Jurassic Park 1 and Jurassic World. We tried doing all the achievements, to no avail. 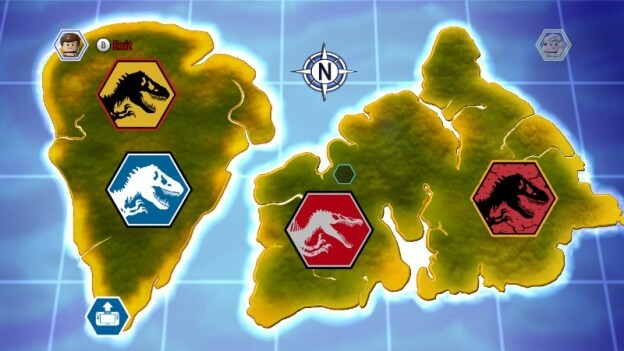 Is there a secret to unlocking Jurassic Park 2 and 3? According to this Gamefaqs thread where someone asked the exact same question, in order to access the Jurassic Park 2 and 3 levels you need to go to the Jurassic Park hub go to the helicopter and go to the Lost World. When you are there you will find a boat which will take you to Jurassic Park 3 in the Lost World hub world. Not the answer you're looking for? Browse other questions tagged lego-jurassic-world or ask your own question. Which characters can use the vine-tangled hanging bars in LEGO Jurassic World? How do I get into the Gallimimus enclosure?